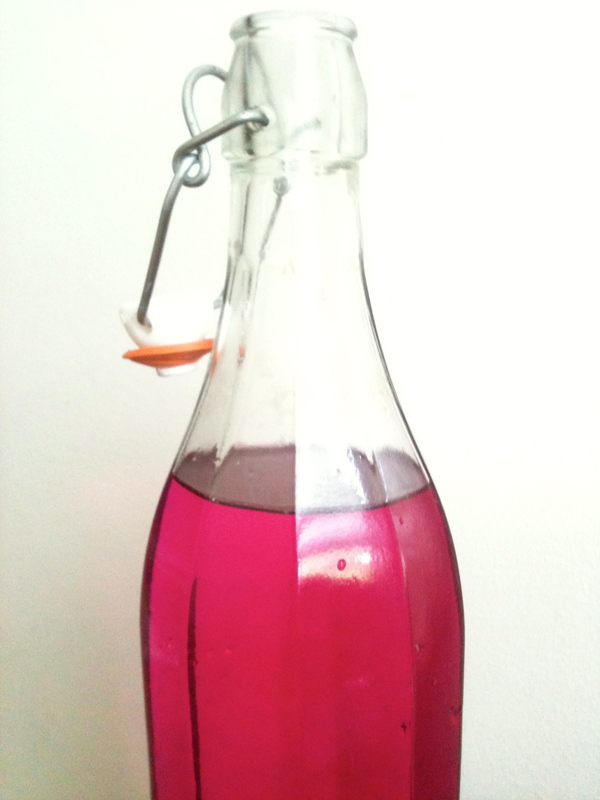 Getting kids to drink more water might be a cinch if it was a beautiful colour like this magenta-tinted water. And it’s all natural! No artificial anything. Fill your container of choice 3/4 full with water (I like mine filtered). Use some beet juice left over from juicing or grate half a small beet (save the grated beet for salad). Add the grated beet to a small glass of water and swish it around a bit to release the beet’s colour. Using a strainer and a funnel, pour the tinted beet water into your container of water. This has been kid tested – they love the stunning colour and always ask for more. You could also tint your water with a little red berry juice, but I think the kids love grating the beet and watching how it magically tints their water. does the colour of this lemon sorbet change the flavour? 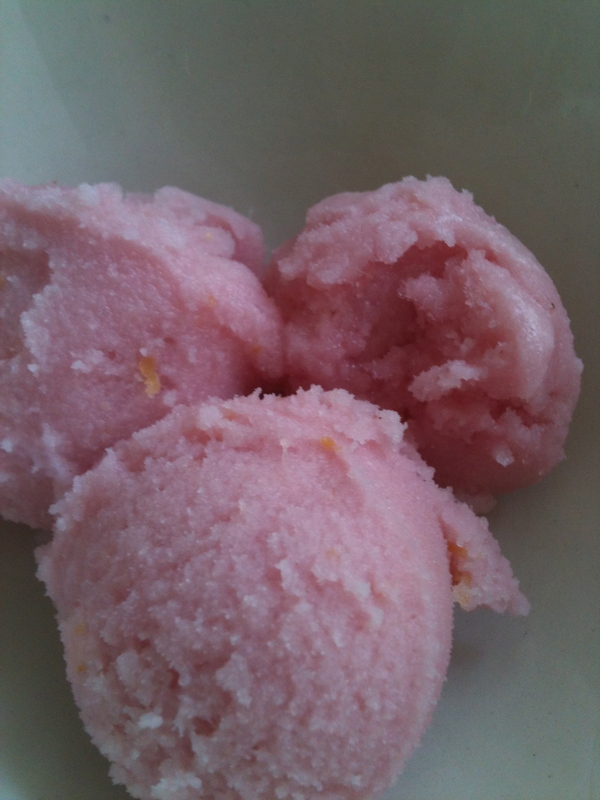 So I’m experimenting with making ice cream, ices and sorbets, and this is my latest creation – buttermilk lemon sorbet. As I don’t like to use white sugar, I used coconut sugar and agave as sweeteners. This is why my sorbet is brown and not white, like most lemon sorbets. I have to say, I think the colour does influence the flavour. Psychologically and because of it’s ingredients, it tends to taste of the coconut sugar (kind of a caramel, brown sugar flavour), but still has a very intense lemon flavour. Which comes in as a second flavour note. No outward taste of buttermilk, but I think it adds to the tartness. Overall I think it has a very nice taste. It’s tart, sweet and very refreshing. I used a conventional ice cream maker to make it. Here’s the recipe if you’d like to try it. I added everything to a large bowl and whisked it all until the coconut sugar was dissolved. Transfer this liquid to your ice cream maker and let it run as per the instructions for your machine. Mine was in there for 1 hour. 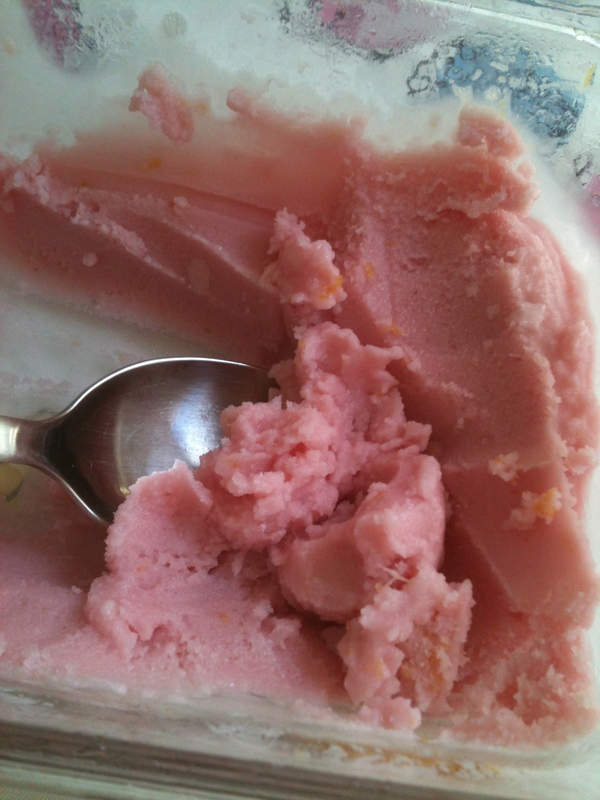 Transfer the sorbet from the machine to a container and freeze in the freezer for 6-8 hours or overnight. Enjoy on it’s own or with some fresh, seasonal berries. Yum! 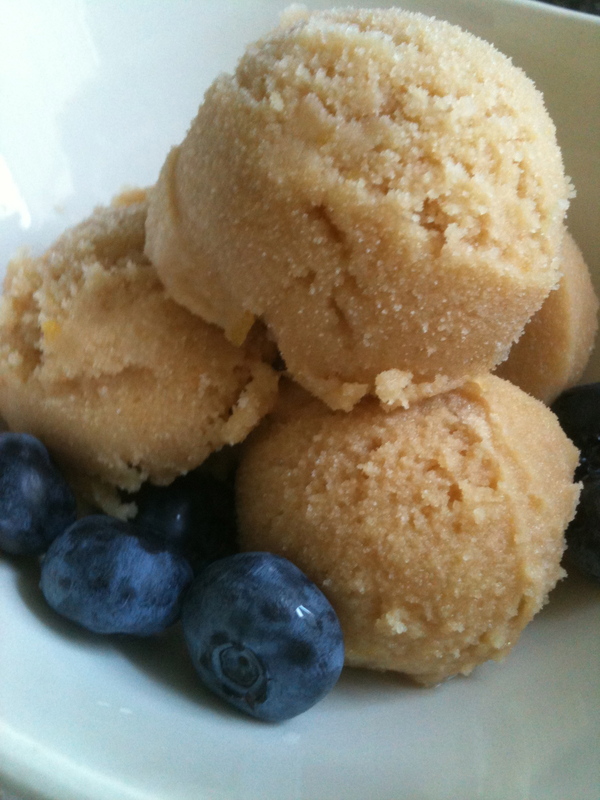 Here’s some sorbet I made using the same recipe as above, except instead of the coconut sugar I used 3/4 cup agave only. I also added just a touch of beet juice (left over from some beets that I juiced) to make Buttermilk Pink Lemon(ade) Sorbet. I think the pink is very pretty!